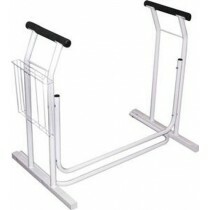 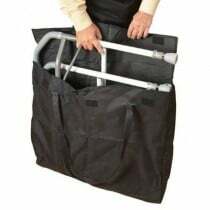 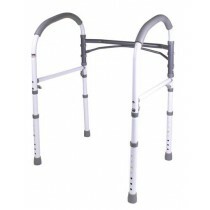 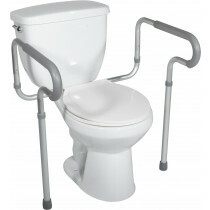 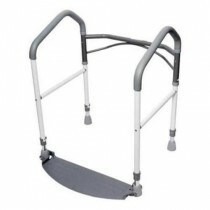 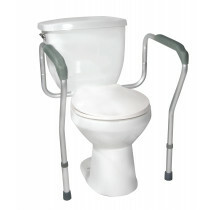 Toilet safety frames help those steady themselves while using the toilet. 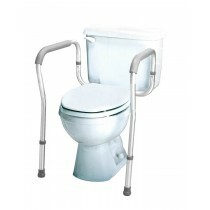 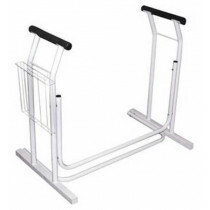 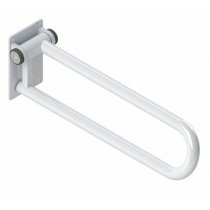 There are a wide assortment of toilet safety frames on Vitality Medical from well-known medical device brands, such as Drive Medical and Invacare. 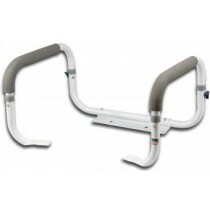 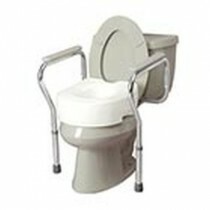 Toilet safety frames typically provide elevated arm rests to help those lift and lower themselves from the toilet -- some of them offer a simple rail to mount on the wall by the toilet. 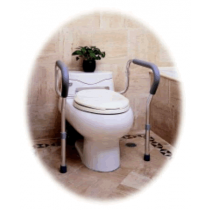 With whatever you choose configuration, rest assured that Vitality Medical will have the right options for most individuals. 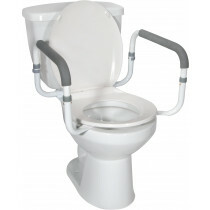 These toilet safety frames are a tool that adds convenience and comfort. 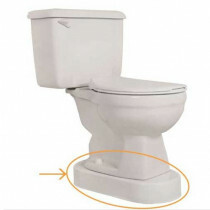 Elevating the toilet to eliminate the distance from sitting and standing. 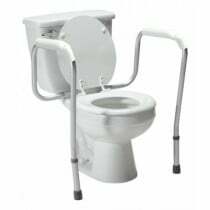 Traveling and always having something to elevate the seat. 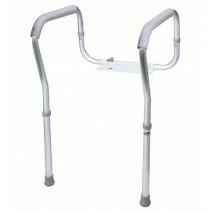 To compensate those who are too weak or simply cannot bend down that low.